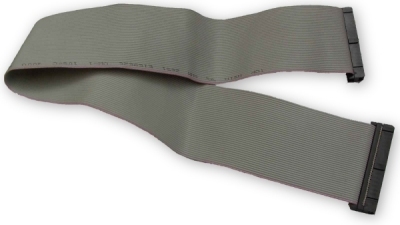 Multi-Conductor flat ribbon cable has a IDC connector on each end and is keyed to help prevent incorrect installation. Cables are gray in color with #1 wire clearly identified by red strip. All cables are 18" in length. Need something different? Contact our Sales Department to discuss custom made and longer length cables.